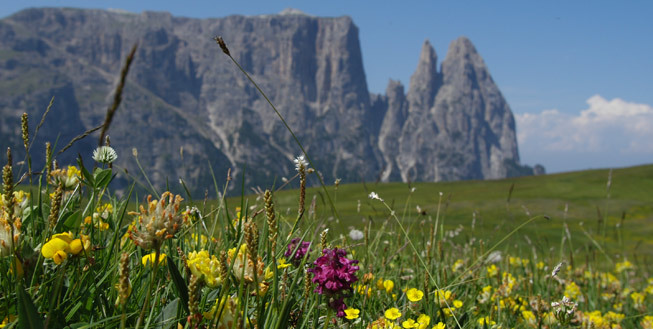 A very warm welcome to the legendary kingdom of the Dolomites! With their rugged and bizarre yet delicate rock formations, the Pale Mountains, as they are also known because of their chalky rock, have long captivated those who encounter them and are a genuine paradise for hikers and mountain climbers. The breathtaking colours of the dark green forests, lush alpine meadows and snow-covered peaks plus the famous mountain glow at sunset, when the Dolomites are cloaked first of all in pale pink and later in flaming red, astonish and delight all who see them and help to make a holiday in the Dolomites genuinely unforgettable. As well as numerous attractions, the scenery in this sunny corner of the earth in South Tyrol, Italy, which features tremendous cultural diversity, monumental natural beauty and rural traditions, also offers an attractive and extremely varied range of sporting and leisure activities that promise relaxation, adventure and fun in harmony with nature. 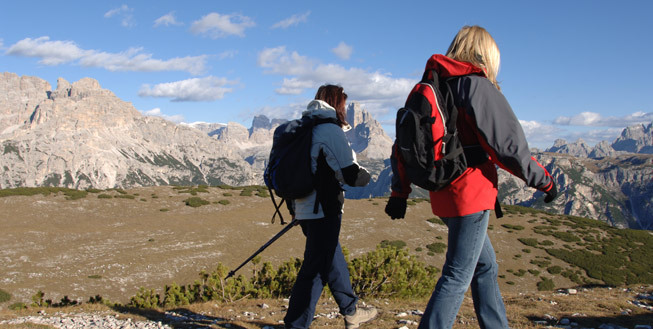 Whilst in summer hiking, climbing and cycling take centre stage, in winter visitors can enjoy themselves both on and away from the snow-covered slopes with Alpine skiing, cross-country skiing and winter hiking. 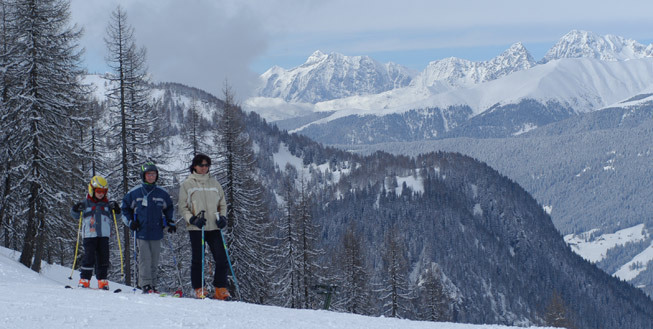 However, the wonderful mountains of the Dolomites in Italy’s South Tyrol are an excellent place in which to try a multitude of alternative or unusual sporting activities as well as more traditional pastimes. These include intense rafting or kayaking trips down steep mountain streams, adrenaline-filled paragliding or hang-gliding, meditative fishing, wintry ice climbing, ice skating and snowshoe walking – perfect entertainment for your next holiday in the Dolomites.